SALT LAKE CITY — The Utah Transit Authority’s Board of Trustees Friday announced it has begun its search for a new president/CEO to lead the transit agency as it transitions from building large rail projects to an increased focus on operations, UtahPolicy.com reported. The announcement follows the retirement last month of former President/CEO Michael Allegra, who had been leading the agency since 2010, according to the report. 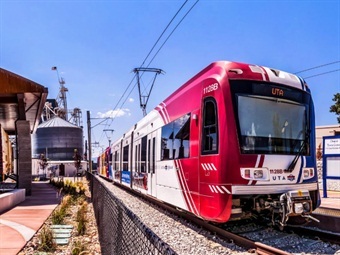 Recently, UTA has been focused on integrating bus routes with its new array of TRAX light rail and FrontRunner commuter rail lines after completing construction of its FrontLines 2015 project two years ahead of schedule and $300 million under budget. The project included opening four new light rail lines and one commuter rail line. UTA also finished construction of the S-line streetcar, UtahPolicy.com reported.